That's such an odd photo, and I can't say why... Because of the line up? It looks serious and very unserious at the same time but I'm not sure what it was meant to evoke? What was the occasion for this portrait, Sun Lion? Hi Hannelore. Possibly from the time of the German Vogue photoshoot. Thank you! A very interesting portfolio - his Hollywood work is great. This looks ODD... very strange indeed. Why do you want to do this??? What is the meaning of it?? its odd photo, , I can not imagine all the time taken for this photo! pictures of Frederik and Mary at the Guard Hussar Regiment's anniversary in 2010. Great photos. So Polyesco, and others, as a connoisseur of Frederik in uniform, how do you like him in a dolman, or do you still prefer the navy uniforms? The last photo is funny. It's tradition within the hussars that when toasting, you stand on a chair and then place your left foot in "the stirrup" ready to mount. At some point during this party, the mascot of the regiment, and that is always a mare called Laura, is brought in. The main speaker of the day then gives a speech crammed with innuendoes praising the horse and expressing the love which every true hussar has for the horse - which to the "hussar-minded" gentlemen present can also be understood as a pretty saucy praise of female curves. - like "beautifully shaped legs", "elegant curves", "enchanting eyes", "flowing hair" and so on. Notice the standard next to the rostrum. A hussar regiment don't carry a colour, but a standard, in DK called an estandard. It would have been a funny night for Mary. Thanks Muhler! I remember when you explain a little bit about this tradition some years back. Thanks to you I knew a little bit when i saw the photo. And I wish he would wear this uniform again. It looks quite charming. Hussars, being light cavalry relying on speed, movement and being nimble, especially if facing enemy cavalry, often rode mares. Most other cavalry, especially heavy cavalry always rode stallions. They are heavier, larger and much more aggressive than mares, let alone geldings. The horse was a part of a cavalryman's arsenal. A stallion was trained to kick and bite. Notice the trumpets. The hussars use trumpets. So do cuirassiers. Dragoons and lancers use horns or bugles. The US cavalry would in European context be classified as light dragoons but riding heavy horses. But you have your Mounties, I bet they have a tradition or two as well. 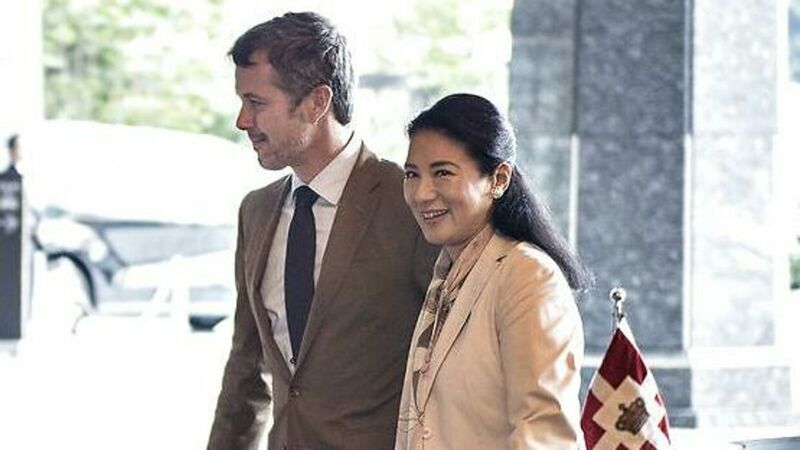 While covering M&Fs visit to Germany last month BB naturally covered the kiss Frederik gave his wife and yet again compared them with Frederik IX and Queen Ingrid. Frederik IX was not afraid either to show affection for his wife in public as is evident from these two scans. Sorry about the quality, it rained that day. A lot! It is indeed very endearing. 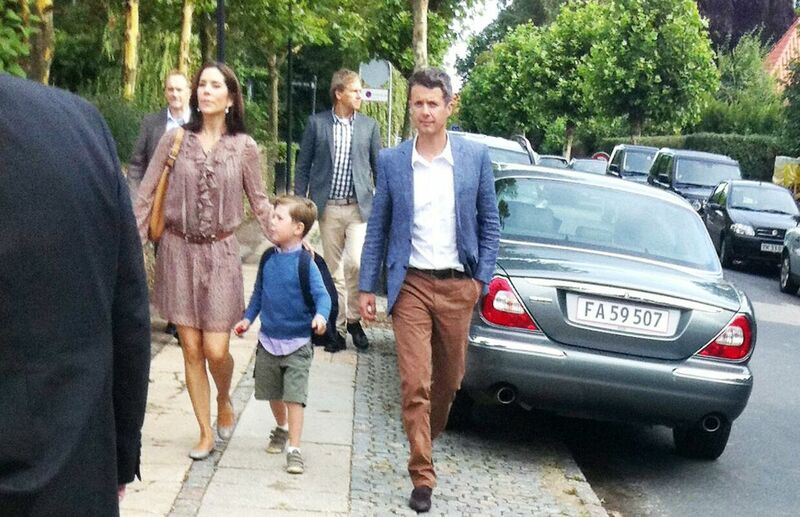 I stumbled across this photo of M&F taking a curious Christian to school on his first day. It's a private person who took this photo as the press covered the first day at Amalienborg, but stayed away from the school. 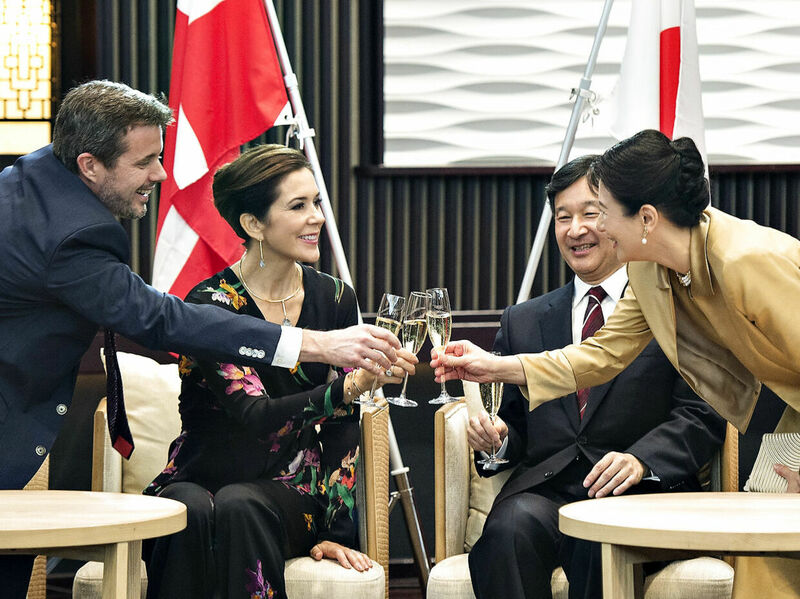 Here are some photos of M&F with Crown Prince Naruhito and Crwon Princess Masako. They are a nice couple. 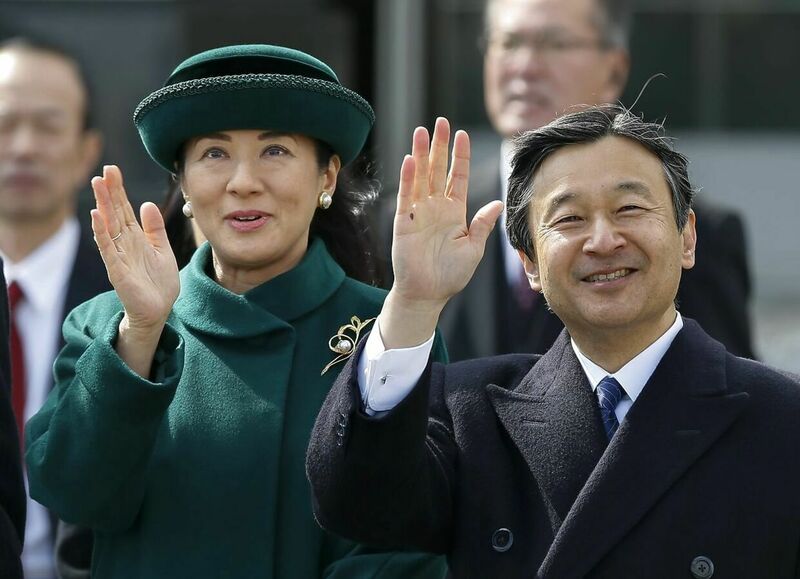 Naruhito is a likable person and Masako is a very presentable lady.